With Passover and Easter last weekend, you might expect to see less activity this week. 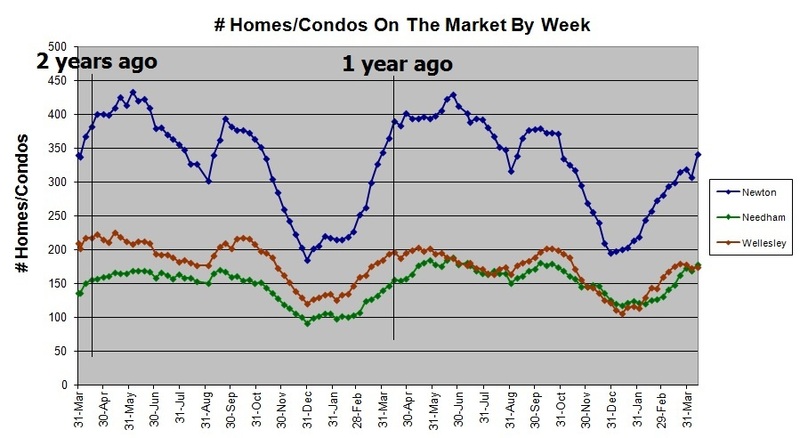 Not so says Newton setting a 2 year record with 62 new listings this week. Last time Newton was close to the 60s was the same week 2 years ago when there were 59. 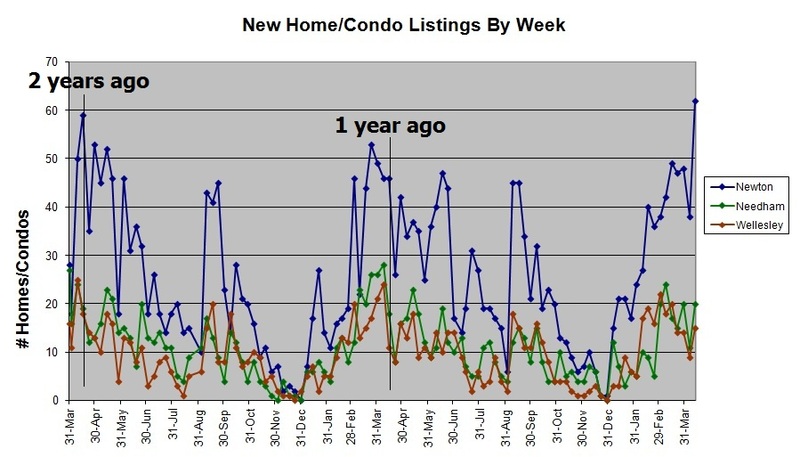 Needham also had a very good week with 20 new listings (note: Needham has 1/3 the number of homes in Newton). The under agreement numbers went down this week in Newton and Needham but expect them to pop back up next week with all the new listings. 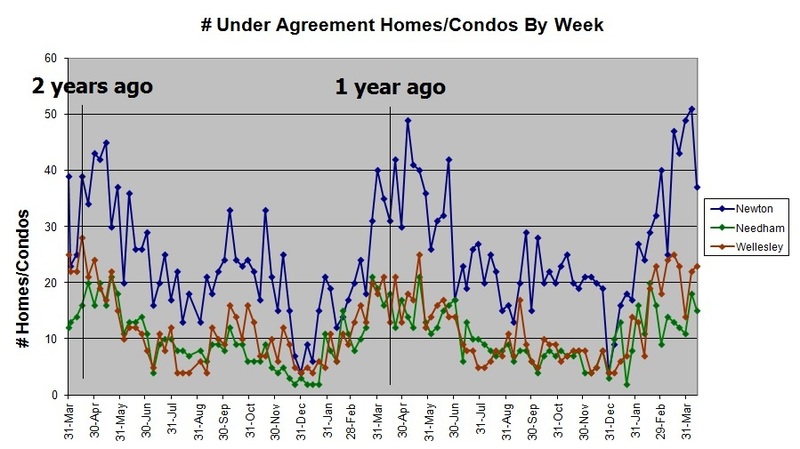 Wellesley meanwhile has had between 20 and 30 homes go under agreement 6 of the last 8 weeks, which is much better than last year. Buyers like options though and Newton is way off from what would be normal inventory at this time of year (341 instead of 375 ish). 2 years ago, Wellesley had 225 homes on the market and this year, 175. This backs up what I’m seeing in my practice, the buyers are more active right now than the sellers. My facebook page has my “home of the day” postings where I pick an interesting new listing from Needham, Newton, or Wellesley and share my thoughts on it as well as the pictures and listing detail. If you haven’t already, “Like” my facebook page to get these fun posts in your Facebook newsfeed.